You got the SB8R at a great price if it was the Ebay one I told my Brother to go and buy! 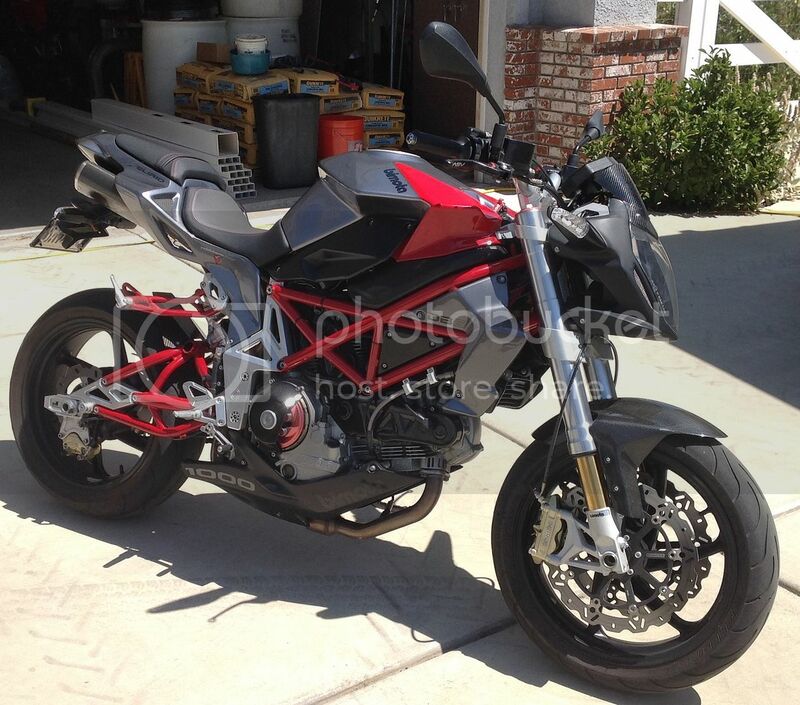 He's just up the road at Thousand Oaks and runs Mamba Motorsports - has two BMW dealers in Santa Clarita and Ventura. Small world - yes I met the BMW team at both dealers. Say Hi to Mike next time your there! Yes I did some rides when I was over in August - I was like a child in a toy store with my pick of the BMW's! 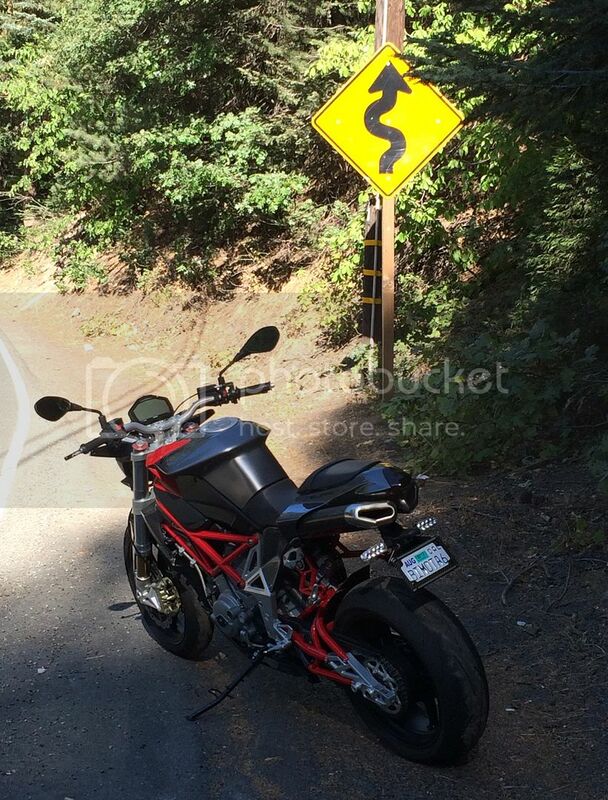 Took the XR out locally to the Rock Store and then PCH1, then a RR up through Ojai and up Route 33 which was spectacular. Thanks for the offer - may give you a shout next time I'm over! As summer is coming , and it was a nice day I was given time to open the garage. Seems Mrs Vort took delivery of a new baby last week. You just can't trust these women !! Of course , she married me OK , maybe a bad example !! Marvic's seem to be standard on the original DB6R. Watched a few press launch video's on line and they all got the Marvic's. However at some stage the stocks must have run out and they went to the DB7 wheels on the later 6R's. Marvic nice a chunky and suit the DB6 style best I think. My name is Mick I live in Sydney Australia. 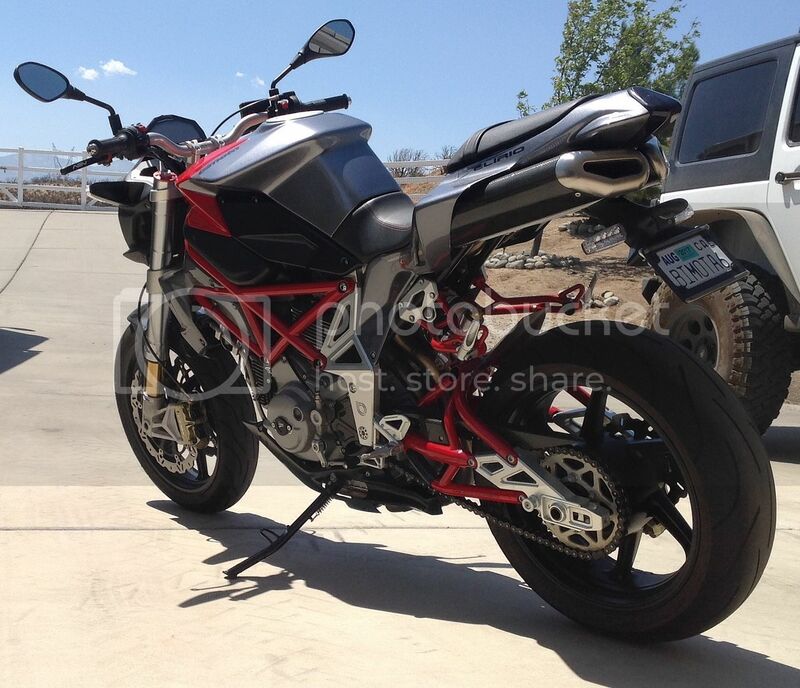 I previously owned a 1098 Streetfighter and a Diavel. These were both replaced last year and I am the proud owner of a DB8 and a DB9S. " Nice photos. I sent Mick a PM yesterday about the International Festival of Speed display. Hopefully he'll reply and we can see if he wants to join us in the display. We haven't got a DB8 or 9. Not an 'R' but mine just the same...with goodies planned in the future. Like the Zard squished cans , they make the rear end look a lot neater . What is the dash you fitted ? Was it an easy swap ?